The list is not all inclusive, the number of different applications created so far is rather high and since realXtend is freely available technology, there are bound to be a number of content creators around the world I am not even aware of. However, the following collection should provide the reader with a fairly good picture of what the realXtend technology is capable of and hopefully inspire ideas for future work. Any applications not on this list were left out either because I wasn’t aware of their existence, didn’t know enough to describe them in detail or didn’t know if their creators wished to have their work published here. I will be happy to add more applications to the list, please contact me with the necessary details and I will do so. The projects in this document are listed by their names, creators, technology platforms and release dates. In a way it does depict a short history of realXtend and you will find most applications in a roughly chronological order. It is important to understand that due to a very fast pace of development there have been a number of realXtend generations that are not necessarily completely backwards compatible – the software generations are described in more detail at the end of the document. During various stages of development a number of versions of a private house were created with different functionalities, some included the entire building while others only modeled the living room. Common to all these environments was the idea of modeling a real environment that can easily be compared to the real thing – a number of demo sessions were held in the actual living room the virtual versions were modeled after. One of the greatest strengths of virtual reality is the ability to model either existing or planned, real environments and experience them in a way that resembles reality. Such virtual spaces can be used for for example design prototyping, real estate management, marketing of apartments even before they are built, data visualization or a number of other potential use cases. The virtual version of your own living room can of course be a nice and familiar virtual meeting place for friends and family who may at times be far away from you. The living room / house environments demonstrate another important feature of virtual worlds: practically any environment can become social or collaborative environments. Thus, if you for example have a model of a factory your company is thinking of building, any virtual meetings can be held inside the scene, giving everyone a visually compelling way to become familiar with the plans in a very natural way during the talks. Still one of the more visually compelling realXtend scenes, at the time of its release Beneath the Waves was a showcase for the platform’s visual and functional capabilities and a crowd favorite wherever it was displayed. 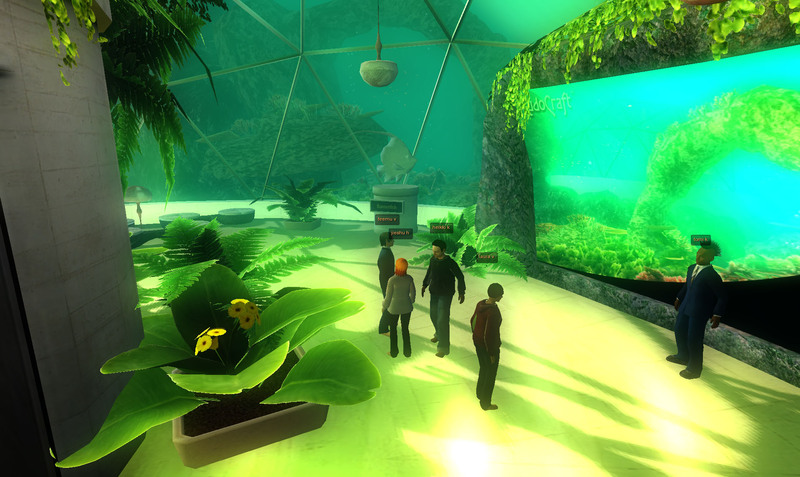 Although probably not impossible to construct in real life, the underwater dome of the Beneath the Waves scene is an example of another main inherent strength of the virtual reality technology; the ability to model and visualize places or things that couldn’t exist in reality or to model complex things and processes in a way that is easy to comprehend and observe. An example of this is the ability to transform into a fish and relaX by swimming among the beautiful coral reef or have fun dodging sharks – there’s a game in there as well, which is not surprising since the environment was created by LudoCraft. Another imaginative utilization of space, Virtual EXPO is a showroom built on the inside of a huge sphere. Showrooms and meeting places in general are a prominent use case for virtual reality technologies that enable the users to experience presence in a shared space as well as observe 3D opbjects and presentations much the same way they could in reality – this specific showroom was built for Tekes. In addition to creating an interesting and inspiring space – one of the most important abilities for a virtual reality application designer is out of the box thinking – the project was designed to challenge the reXviewer as a modifiable application platform. Although the project was successful in creating the environment and its functionality basically as designed, the technological challenges faced during the production factored in the subsequent creation of more flexible realXtend technology generations. Nantes XVIII is a wonderful example of combining modern technology with a rich historical background. The virtual museum is a virtual representation of the Nantes city center as it existed several hundred years ago. As a part of a local museum’s exhibition it allows researchers as well as regular visitors to experience entire parts of a city from the perspective of the people who actually lived there during the period. 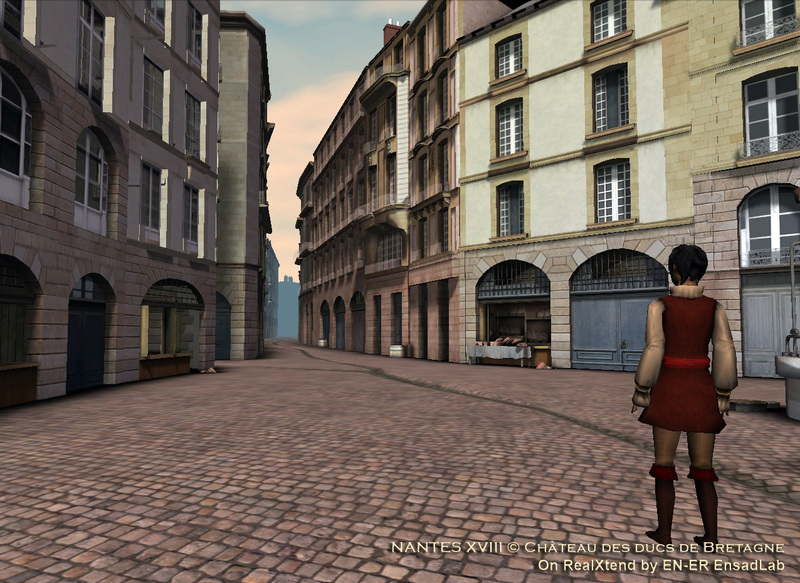 One of the features of the Nantes XVIII virtual world is the possibility to switch to a panoramic photograph view of the current Nantes city center for comparison purposes. Combined with modern visualization technologies such as CAVEs and Oculus Rift -style virtual reality visors applications like this offer a unique glimpse to the past as well as the possibility for museums to host exhibitions that are of never before seen scale and yet effortless to transport around the world if desired. 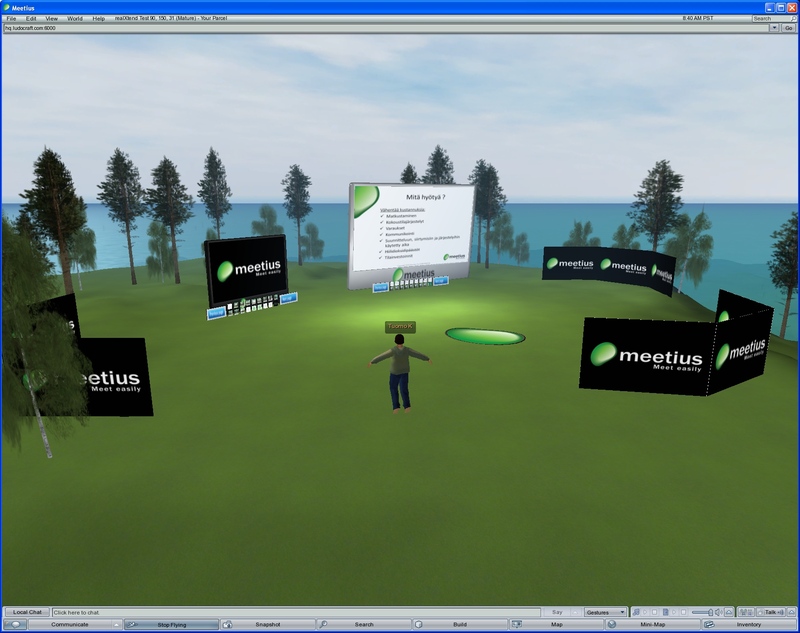 Meetius is LudoCraft’s entry into the meeting spaces market that is one of the traditional strong points of virtual reality technology. It offers a number of different collaborative tools that enable the participants to make notes together, utilizing the co-operative possibilities of the technology. The main idea of virtual reality meeting environments is in saving traveling costs as well as the environment by reducing the need for travel and to offer a possibility for natural interaction between the participants even when traveling isn’t possible. Virtual reality has proven its ability to create a sense of being present in the virtual environment as well as sharing the experience with other users. One of the most famous examples of the power of the technology was a conference held by IBM inside the Second Life environment where they found that due to the natural interactions between the users, the participants actually networked ans socialized between the sessions – which is often the most valuable and sought after outcome of such events. The most prominent use case for virtual worlds (unless you count games, in which case entertainment probably takes the lead) is education and training and realXtend is no exception. One of the most notable realXtend-based educational projects is TOY, an environment designed to facilitate learning through spaces and tools designed for the purpose. The most important aspect of TOY is that unlike most educational and especially training environments, it is not built for a single specific purpose. Instead, it provides not only a host of tools and spaces for professional educators to create engaging and interesting content and scenarios for teaching, but also means for the learners to communicate, co-operate and co-create during lessons. 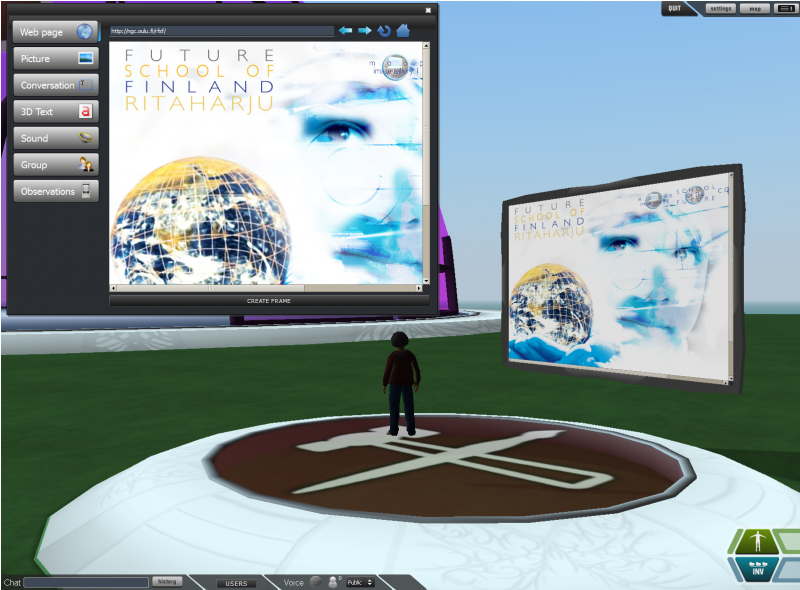 TOY’s design is based on open spaces divided into suitably sized locations for group work, which is one of the basics for successful virtual world design when accessibility for many different kinds of viewing devices from mobile devices through traditional monitors to CAVEs and virtual reality visors need to work equally well. 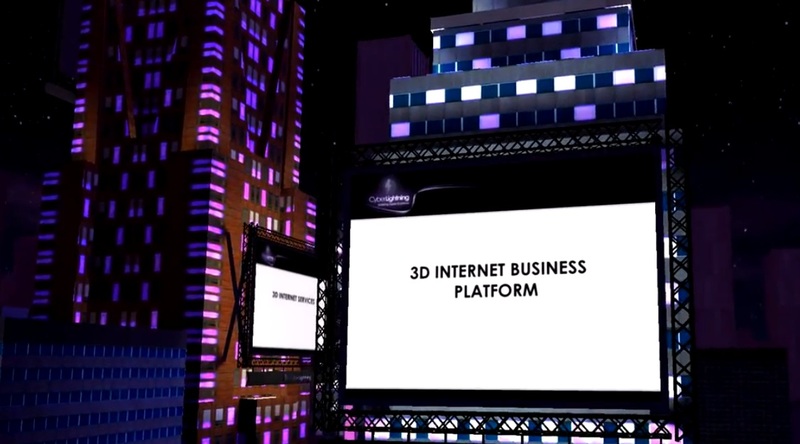 Cyberslide is a presentation tool that displays powerpoint-style slides in 3D environments, aiming to make the presentations more exciting and engaging – and depending on the subject, it is also possible to show relevant 3d models in the background. 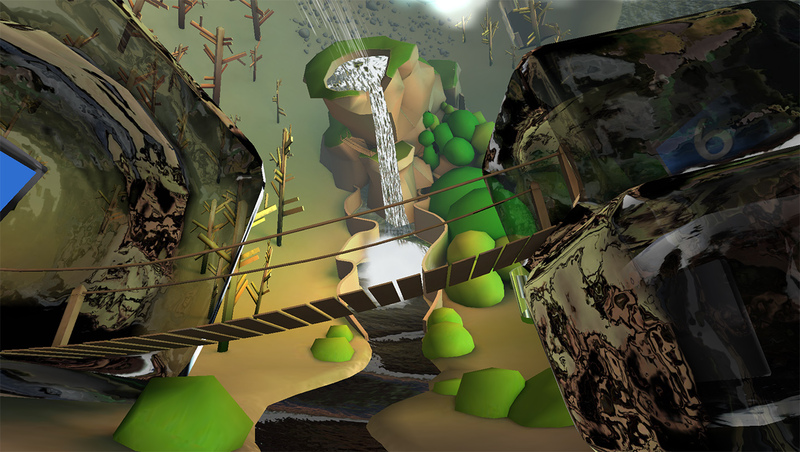 Cyberslide is an interesting example of how the technology can also be used to create environments that don’t contain user characters (avatars) or terrains in the traditional sense. 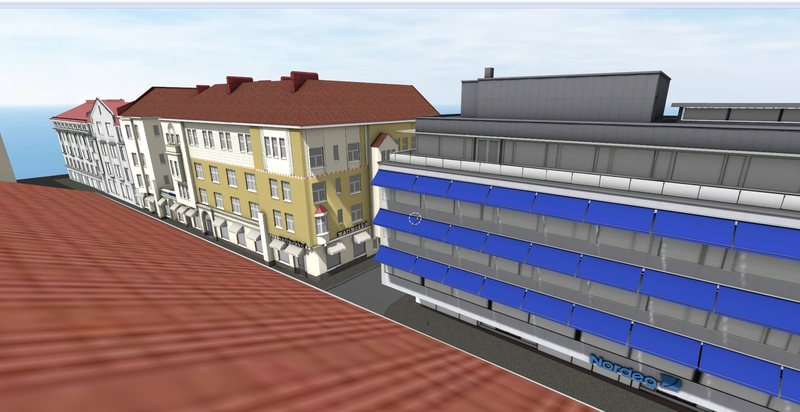 The VGWB2012 is another example of intelligent space utilization in virtual environments. The virtual scene was built as an online component for the actual event held simultaneously in dozens of Berlin galleries during a period of three days. Being accessible worldwide, open for months after the actual event and able to connect people who were not able to attend Berlin at the time and giving them a unique experience of participation, the virtual version of the event showcased the possibilities of the technology. The space itself consisted of easy to navigate platforms placed above a map of Berlin, one platform per each participating gallery at the correct location. Thus it could in fact be used as a navigation aid in addition to being the online meeting place for interested users – as well as a business transaction platform for anyone interested in purchasing the displayed art pieces. The German Fire Fighting Museum is another good example of modeling and experiencing content as it exists – or existed – in real life. Not only is it possible to look at the old firefighting equipment in 3D and real scale with suitable equipment, they also contain functionality such as opening doors and equipment hatches. 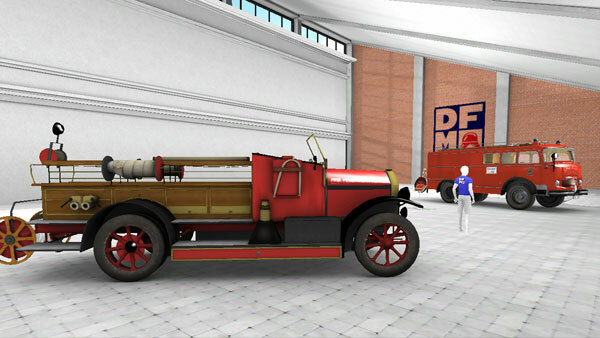 The most popular feature of the virtual museum was, however, the actual German firefighter who tirelessly gave presentations about the equipment to all the visitors utilizing the communications features of the virtual environment. Museums in general can benefit greatly from virtual reality technology, since it is possible to for example not only visualize how a place or an object looked like in the past but also animate and add functionality to it, giving visitors a good picture of what it was like to live and work in the past. As well as giving people the possibility to visit a museum’s collection online it is also possible to install big screens, CAVEs or wearable virtual reality technology to museums and create compelling experiences not possible otherwise, exchange virtual collections with other museums providing the visitors novel experiences on a time table impossible for physical collections, enticing them to come back again after a short while. Another case of modeling reality showed its true value when the curator of the actual event was able to revisit it virtually a year later – long after the actual event had ended and the facilities had been dismantled. Thus virtual reality not only allowed people to visit the exhibition globally and share the experience and communicate with fellow art enthusiasts, they could still do so long after the actual event had ended. 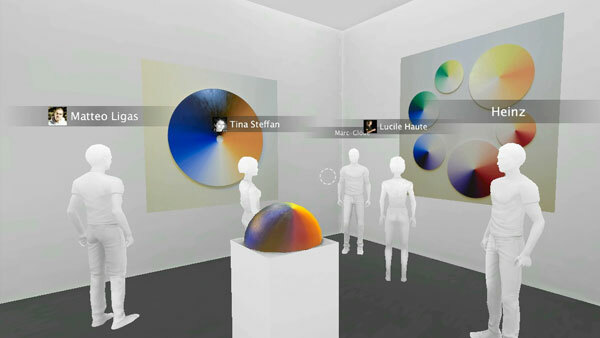 Being modeled after an actual art exhibition the abc 2011 virtual world is at its best when viewed with true virtual reality equipment such as large multi-screen environments and wearable displays. With suitable equipment the experience is true to life in such a way that it is even possible to design the exhibition in virtual reality. After all, in cases like this the space where the art is displayed is a fine form of art itself – and being a rather large temporary construction, virtual reality is the best and only way to save it for posterity. The spinning wire Conference Room is another virtual environment designed for creative collaboration in a space that is easy to navigate and utilize. Based on the Meshmoon hosting service, the spinning wire scene offers a host of communications and co-creation tools including compatibility with Google Docs. As is customary to virtual meeting spaces, people from around the world can join in and communicate with each other either through text chat or voice. In addition to the common features, spinning wire has also included tools for moderating the events. Sandbox is another great example of utilizing virtual reality as a training tool. It is designed for house builder students who get to co-operatively build the foundation of a building in the virtual world and thus learning the necessary calculations and steps to build it based on a set of plans. As is the case with many other successful virtual reality training tools, Sandbox makes use of the communications features, promoting co-operation and game design, which makes the experience interesting and motivating. 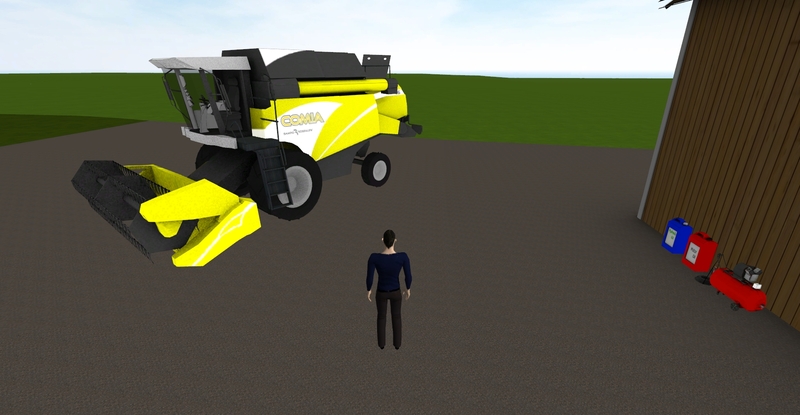 A very typical example of using virtual reality technology as a training tool, the Combine Harvester training is used to teach students proper maintenance and pre-use checkup procedures. The application relies heavily on the technology’s ability to model reality in creating a convincing likeness of the harvester with maintenance hatches and other essential functionality. Such visual and functional reality helps in transfering skills learned in the simulation to reality. When the students use the simulator they need to find the proper locations for maintenance operations exactly where they are on the real harvester, which makes it easier to memorize the operations. Training tools in virtual worlds offer numerous advantages that are to an extent similar to other educational and co-operative use cases. 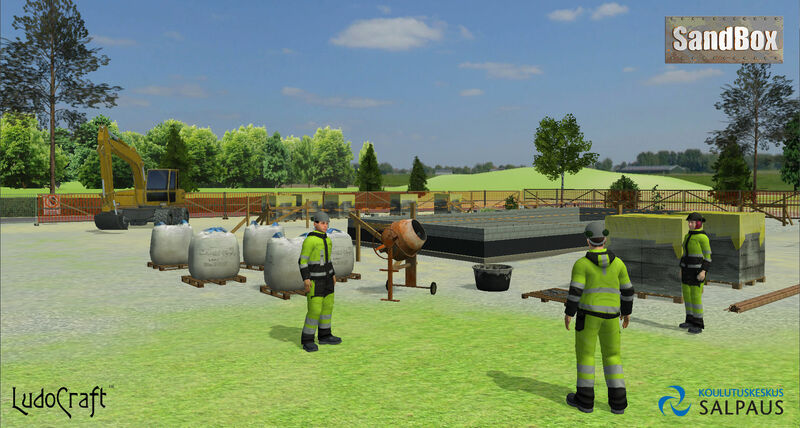 Especially when expensive or dangerous machinery is involved, the virtual reality offers safe, yet life-like training scenarios that can be repeated over and over again with minimal cost. One of the biggest advantages is the ability to easily multiply the number of training hardware so that a number of trainees can practise simultaneously. It is also possible to create scenarios for different training situations – for example the harvester trainer has a number of components that may require maintenance during the checkup if the instructor so wishes – that are automatically graded so that the instructor can follow the trainees’ performance and assist when necessary. In general training tools are some of the traditionally strongest selling points of virtual reality environments because of the number of safety enhancing and money saving advantages they provide. The Meshmoon hosting service is by far the biggest realXtend-related development project outside the actual base technology development work. 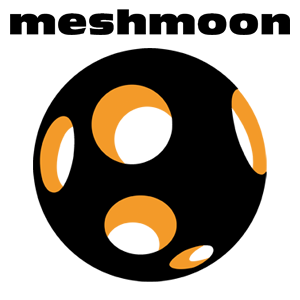 Not so much a regular application, Meshmoon is a service that allows users to create and host their own worlds and applications. During the early stages of the realXtend development project when OpenSimulator was used as the server platform there were fairly comprehensive building and communications tools as well as an avatar automatically included in every application, which was quite handy – unless you didn’t need such features at which point they became rather heavy baggage. During the development, realXtend software became more flexible and modifiable generation by generation, but at the same time it provided less and less features out of the box. The idea was that everyone could create their own version of the basic applications just the way they needed them to be – if they needed them at all. And this is where services like Meshmoon come in. Meshmoon offers a set of basic tools including communications, in-world building and avatar as well as scene management, making it functionally comparable with traditional virtual worlds. Two years after release the cloud service had servers on several continents and over 3000 scenes hosted. The Cloud Church is an interesting combination of a virtual museum -style application combined with meeting place functionality. 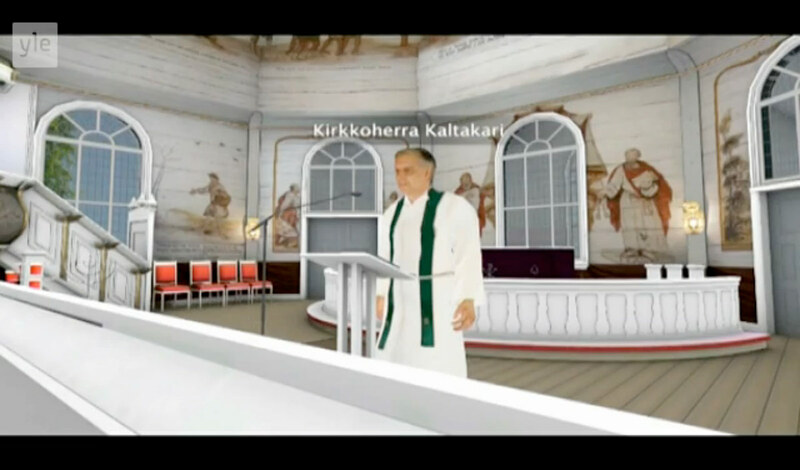 The project began as a modern alternative / addition to photographing the wall paintings and other art in a Haukipudas church, but since it was uploaded into a functional virtual environment there have even been online services held in the scene. As with other similar virtual reality renditions of existing places, the church makes it possible for people who are far away from the actual place or for other reasons unable to attend the service in person at least experience it virtually, which is a much more social and engaging experience than just listening to it on radio or watching it on TV. One of the greatest strengths of virtual reality is the visualization of complex equipment and processes, making them easy to monitor and understand. The project is based on a small scale wood gas power plant made by Volter. 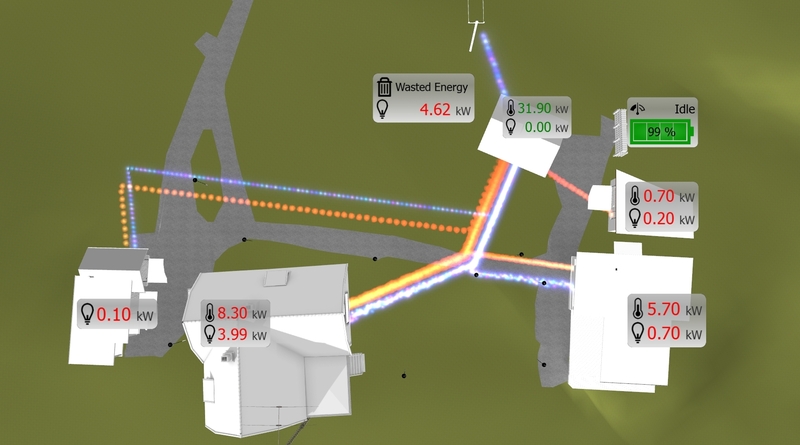 Since Volter hardware is portable and globally distributed, virtual reality can be used as a tool to visualize the day to day functions such as electricity and heat production / distribution, assist in maintenance and training as well as act as a communications channel between the customer and Volter. By using the communications abilities of the Meshmoon platform it is possible for the customer and for example maintenance staff to meet virtually inside the plant and solve problems together, making it possible for the top level experts from Volter headquarters to oversee plant maintenance operations all around the world. The Virtual Oulu city scene is a constantly expanding model of the city center of Oulu with all the roads, buildings and a lot of other objects in their correct positions. This kind of models have a number of potential uses, mostly because they offer a comprehensive and realistic view to what the area really looks like in reality. Additionally, all kinds of data can be overlayed on the model, visualizing complex interactions in an easily understandable format. A typical use case for models of large, urban areas is again related to training, since they can be used to train fast response units such as firefighter teams and ambulance crews and especially their leaders to function efficiently and safely in different urban situations. In the real world such excercises are expensive and difficult to arrange regularly – unlike in the virtual environment where a number of different scenarios can be run many times per day for as long as necessary for little cost and trouble. A city model can also act as a meeting ground, offer advertisement possibilities and help in city design. Virtual reality can also help greatly in real estate business, since potential buyers can get a very convincing and realistic experience of visiting a building that’s perhaps still under construction – or if she is moving in from a far away place and has difficulties actually visiting interesting apartments. At the very beginning of the project it was decided to get going quickly by using existing software as a starting point for development. The initial choices were the open source Second Life viewer and the compatible OpenSimulator server. One of the most notable realXtend-specific additions was support for professional 3D modeling software in content creation on top of the primitive shape -based in-world building options inherited from the Second Life design. Notably realXtend was also built from the start to facilitate free travel between different virtual worlds. It didn’t take long to realize the limitations of the architecture inherited from the Second Life platform. Although it certainly can be done, OpenSimulator and Second Life viewer, being based on technology running on massive server farms with great numbers of people wasn’t a comfortable fit for many use cases the realXtend developers were working on. The Second Life viewer was also considered a difficult platform to expand and modify due to technical limitations and on top of that its licensing wasn’t very business friendly. Thus was born the scratch-built Naali viewer that connected to a modified OpenSimulator server known as Taiga. The Naali viewer had a streamlined and expansion friendly architecture, which was not a completely comfortable fit with the Taiga server. The next step was to build server functionality into the Naali viewer, much akin to how computer games (in many ways similar technology) operate. The project known as Tundra brought a lot of improvements to content creation work and later services such as Adminotech’s Meshmoon cloud based hosting brought back a lot of the massively multi-user capability lost when moving away from the OpenSimulator / Taiga platform. Tundra is the most modern realXtend software that has been developed into for example web based versions and also functions as a base for the Meshmoon Rocket viewer. Although based on the Tundra technology, Meshmoon / Rocket offer a set of tools and functionalities significant enough to be mentioned separately when a project is built and hosted there. This entry was posted in news by ailomaki. Bookmark the permalink.